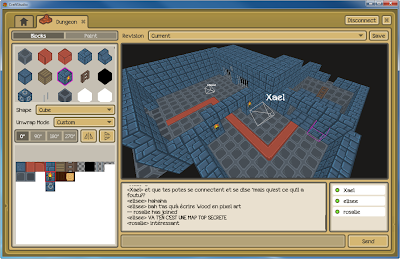 CraftStudio is a multiplayer platform to create games and interactive movies. You can form your own team, set your server and collaborate in real time to make your game. The project was on Indiegogo for last few days raising funds and now it has reached the target in time. An alpha build for Windows is available but a Linux version will be released soon. Check out their roadmap. 18 days are still left, you can get yourself a premium account for $10. For $20, you will get their first game (Dungeon Crawler/RPG) as well. Check out their Indiegogo page.